We have had a very special guest at the Ciutat Esportiva Joan Gamper! It’s none other than 3-time NBA champion Dwyane Wade. The Miami Heat shooting guard is on vacation in Europe and is using the club facilities to keep himself in tune. The club made a point of gifting the 36-year-old veteran of no fewer than 12 NBA All Star Games the shirt of its own basketball team, which he proudly wore while working out for over an hour on the court at the training facility. 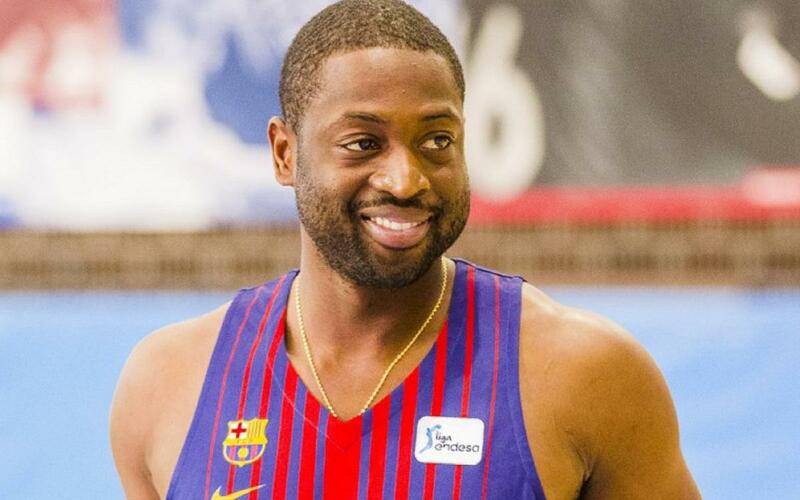 Wade, who is holidaying with his wife and friends in Ibiza, was joined by his good friend and former Heat team-mate Dorell Wright, who is now playing at Brose Bamberg in Germany.